Has The Orlando Shooting Psyop Event Just Been Blown Wide Open? 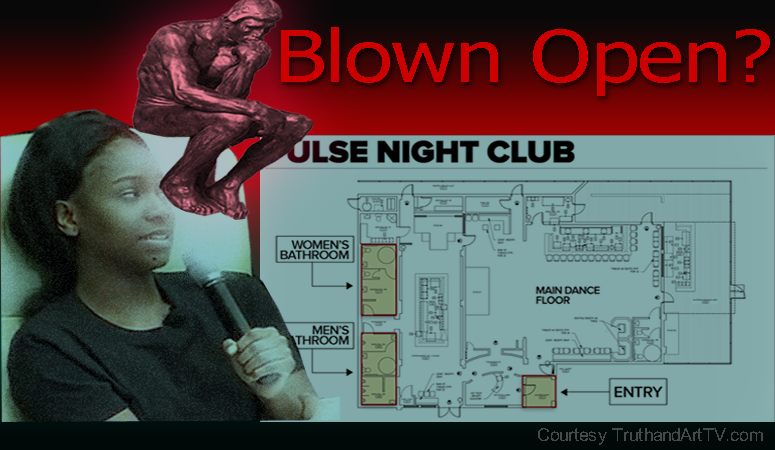 With the seemingly daily influx of new information coming in about the Orlando Pulse Night Club shooting "event", each new piece of information increasingly shedding more suspicion on the event, as large pieces fail to fit and the stories and testimonies increasingly fail to hold water, another researcher sent me information yesterday that I want to share with readers that could potentially blow open the Orlando shooting "event" exposing it for the fraud that it is. As always you have to think critically on your own after weighing all the evidence. Everyone should be looking for ways to disprove what I'm about to discuss. This potentially damaging new revelation focuses on the testimonies given by shooting "victims" paraded all over mainstream media. Specifically regarding the final moments when all of these specific "victims", (which all seemed to have been shot in the leg only) all ignored the wide open and clear exits to the outside world where supposed shooter Omar Mateen was not at and instead headed straight to the dead-end sure-death restrooms to hide inside imaginary bullet proof stalls for reasons that make no logical sense from a strategy and survival point of view. That entirely aside, let's consider some of the testimonies given by 4 very key eyewitness "victims". I will place emphasis on the number of stalls for clarity. Orlando and his friend took cover in a cramped bathroom stall, contorting their bodies on top of the toilet so their feet could not be seen. The gunman burst into the bathroom, went straight to the stall next to them and shot the people inside. "A cop grabbed me and pulled me out through the hole"
So far no big deal right? Who else was in the female (two stalls) restroom with Orlando? Apparently supposed eyewitness and victim 'Patience Carter' who tells a very detailed story about how she too went to the bathroom with not one but two stalls for shelter. Like Orlando, Patience also mentions that at one point Mateen asked "are there any black people in here" and they both mention that Mateen made a 911 call. It may sound to those highly suspicious of this event like they are reading off the same script but for now let's put this aside and conclude that it is safe to assume that they were both presumably in the female restroom (to the right and north portion of the building). We'll come back to Patience Carter in a minute. Let's look at some of the testimonies given by several key eyewitnesses which will shed light on the bigger picture of what might be going on. Taking a close look at the testimonies of two men, Angel Santiago Jr and Norman Casiano, shows that their stories sound even more eerily similar. They were both in the mens room, both seeking refuge in the bathroom stall, both decided to heroically leave the room against the wishes of everyone else who was in the restroom, they both describe essentially how each of them took these actions and no one else did. In other words they both describe that their actions was the only one of its kind. At no point does either acknowledge the other's story. I think this is very intriguing but let's move on. 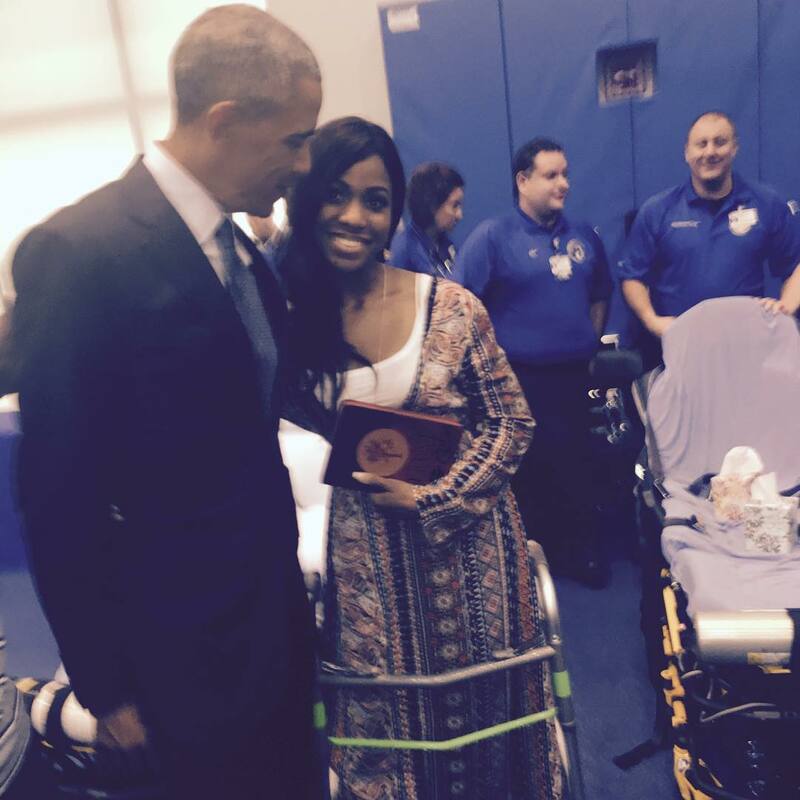 "so everybody just stayed down and we heard the first explosion ... and the gunman came from behind and came into the bathroom and started shooting at the SWAT Team through the hole they had just made and that's when I got shot in my shin"
"right before the SWAT, the PD bust through the wall, he actually started backing into the bathroom stall itself that myself Tiera Parker and Kiera who didn't make was inside of, and I could see his feet like scooting back, scooting back, scooting back as he heard the police outside. The last thing that I heard before the police said move away from the wall, because obviously they were about to bust through again, he said, hey you to someone on the floor and shot them, shot another person , and then shot another person who happen to be directly behind me, who I'm told through the eyes of 'Tiera' (or is she referring to her friend "Kiera"??) that shield me with with their own body to make sure that I wasn't hit. So, I don't know who that person is, I don't know the name of that person but... if I could... if they're somewhere watching from... thank you, thank you, for saving my life literally. If it wasn't for that person shielding me it would have been me shot, and I wouldn't be sitting here today to talk about it. So after he left ... rang off those last 3 shots... hey you, pow pow pow. They bust through the wall and they started engaging in gunfire after they told him put your weapon down, put your weapon down, he didn't, so engaged in gunfire, they got him, they shot him dead and from that point, cause the wall had exploded the pipes there was water starting to rise so I was getting really scared, cause I was thinking like, if I don't get, like they don't get to me soon or something like I might drown sitting here in this water, this pile of bloody water. But I was able to get the debris off my face and I was able to push myself from underneath the stall wall and come on the other side where the handicap bathroom was, where the handicap stall was and I was able to sit up and pull my leg from underneath the person just was killed beside me. " There are several anomalies here, one being that the identified victim she is claiming to be her friend is named "Akyra" Monet Murray not "Kiera". So how is it that Carter doesn't know her own friend's name? You decide. I digress. Carter clearly is describing a final gun battle that takes place inside the womens restroom which is directly contradictory to Miguel Leiva testimony whose testimony seems more authentic when you look at the actual holes in the wall as shown in the pictures. This is where the story gets eerily suspicious. You'll have to watch this video below and jump to your own conclusion. I watched it several times and concluded Carter's story cannot possibly be true which would imply she's lying. Watch this video and decide for yourself. As if all of this is not disturbing enough, now the mainstream media is telling a completely different story all together placing the final gun battle "BETWEEN" the two restrooms which is, by the way, where the SMALLEST hole is at. This is huge since that would make the stories told by both Carter and Leiva false. The contradictions are now so massive that they may be digging a hole for themselves that is becoming too deep. Again, you decide. The final confrontation was perhaps the most chaotic. Authorities detonated an explosive charge to breach the wall to the restrooms, but it did not create an opening as intended, Mark Canty, the Orlando Police Department’s SWAT commander, has said. Police then used an armored vehicle to ram a hole, which turned out to be between two of the club’s restrooms, Canty said. Canty said that Mateen was in the north of those restrooms and that officers created another hole in the south restroom so that hostages could escape. Mateen, he said, soon emerged from the other hole — between the two restrooms — where he was fatally shot in a final gun battle with police. The fact of the matter is that Miguel Leiva's story has the most weight since all the physical evidence clearly shows that the large hole and the hole with all the bullet marks consistent with a gun battle took place in that hole is in the mens room which is positioned to the south-most section of the building. This is also where the broken water pipes are seen, not in the womens room. According to the building scheme, the stall in the womens restroom where Carter would have been is furthest to the north portion of the building wall. This is apparently about 25 feet away from the large hole! Perhaps it would interest everyone that Patience Carter is actually a Fox News intern reporter and we should all be wondering, what are the odds of that? Nothing should surprise us anymore about these false flag events. Here is a profile of Carter with "5 things" you should know about her to confirm some of the details mentioned here. I'm wondering, why Carter? Was Carter, like "Dr Cheatham" one of the key people chosen to deliver the story? Is this why mainstream media is ALREADY accusing anyone who doesn't believe Carter's story as a "conspiracy nut job" when they themselves are putting out information that directly conflicts her story? And why did President Obama himself meet with Carter as can be seen in this photo below? These are questions we must all ask and not be afraid to do so otherwise we'll never arrive at the truth of what really happened in Orlando on June 12, 2016. As always, those asking the questions are being demonized for doing so but should we really be surprised? Face it, the story of the Orlando shooting false flag "event" is only getting more interesting as humanity and the truth community patiently awaits for actual organic 3-dimensional proof of their claims which at this point (truth seekers should realize) may never come. No one should be surprised that the Attorney General's office decided NOT to release the 911 calls Omar Mateen supposedly made and instead released the 2-dimensional, easily controlled and engineered transcript that you are supposed to accept as truth without questioning. Unfortunately this is the world we live in and it is up to each and every one of us to think independently (including mainstream AND alternative media) and arrive at your own conclusions without any pressure of being ridiculed. Then, if enough of us demand actual physical organic proof of their claims, perhaps this will slow down the machine from staging so many events or at least make them stop assuming we will buy into their stories so easily and start worrying more about blowback. We are nowhere near that point in consciousness but that doesn't mean we can't get there. I believe the blowback is happening on many levels and that is why it is so important to share the information.